No group is more closely identified with African song - some might say with world music itself - than this vibrant South African nine-member vocal ensemble. Since 1987, when they were introduced to mainstream America with the release of Paul Simon's groundbreaking "Graceland" album, these African troubadours have traveled the world with the uplifting, polyrhythmic harmonies of their homeland. 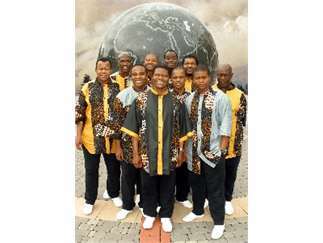 The group has won five Grammy Awards, including one this year for Best World Music Album for their recent Shaka Zulu Revisted release.